Lastovo is the Adriatic island located in the very centre of Adriatic sea. It has rich underwater life as well as lot of wooden covered areas. Lastovo is famous for its fishing resources – bluefish, lobsters , John Dory etc.. The island spreads over 50 square kilometres with fairly frequent local bus service. The coast of Lastovo is often steep and surrounded with deep, clean and clear sea. Lastovo has two large bays – Skrivena luka – located on the southern part of Lastovo, between the cape of Strizevo and the cape of Veliko more. Other bay is Veli Lago and Mali Lago, bays that are connected by a narrow passage. Lastovo is an ideal place for peaceful vacations, far from the usual crowd of tourists. Quality accommodation facilities (hotel, apartments), home-made food (Lastovo is famous for spiny lobsters) and exquisite wines, as well as sports and recreational opportunities – yachting, surfing, fishing – guarantee a pleasant stay. 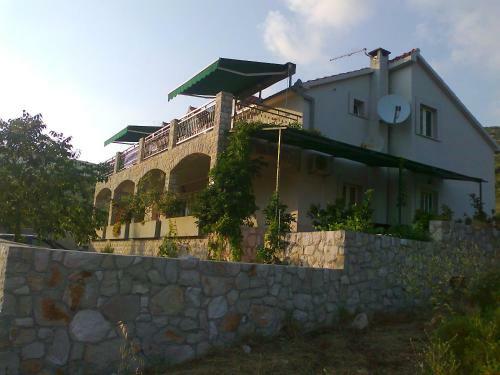 All hotels in Lastovo, book here! Pasadur is placed on the western side of the southern Dalmatian island of Lastovo – the furthest inhabited island from the mainland. The place is 3 km north of the ferry port Ubli. There are rocky beaches with swimming areas in front of private houses on the island. Diving enthusiasts can explore the magnificent underwaters of the island and even see octopuses and schools of fish. 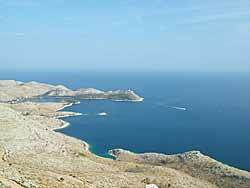 The cluster of the rocky islands surrounding Lastovo goes divided into two groups. Among those to the west Susac is the largest one. For those coming by boat, a trip to the islets of Lastovo archipelago – Lastovnjaci, Mrcara and Susac – are good to visit. Ferries to Lastovo Island – comprehensive listing of all ferries to Island of Lastovo, includes info about ferry ports, schedules, maps and news. Lastovo Island Tourist Office – General information for tourists, apartments, rooms, restaurants, events, links. Map of Lastovo and surrounding area – includes Peljesac, Dubrovnik, Korcula, Mljet and Elafiti ISlands – Sipan, Lopud and Kolocep. Lastovo is served by daily ferry crossing from Split and Vela Luka – for ferry timetables from /to Lastovo check Jadrolinija ferry page .